Today was about World War 1 for me. 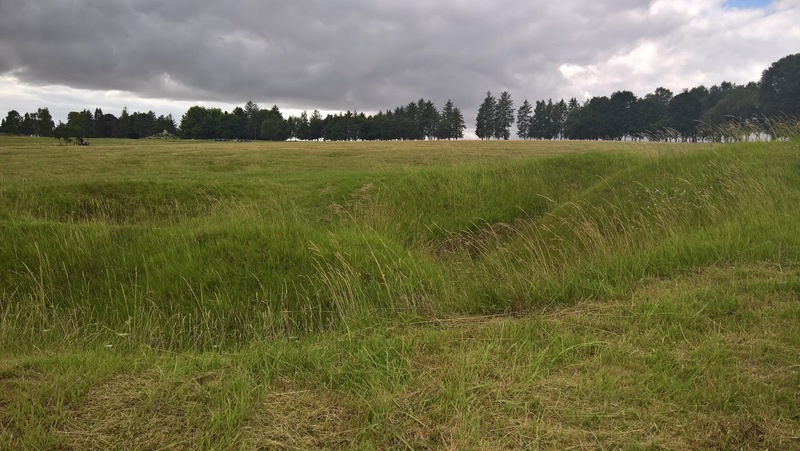 I have never been to any of the battlefield sites. 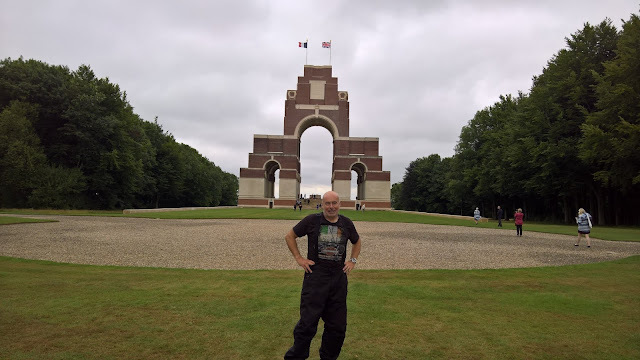 For the first time I traveled through Northern France and the Thiepval region where a lot of the action during the Battle of the Somme in 1916 took place. 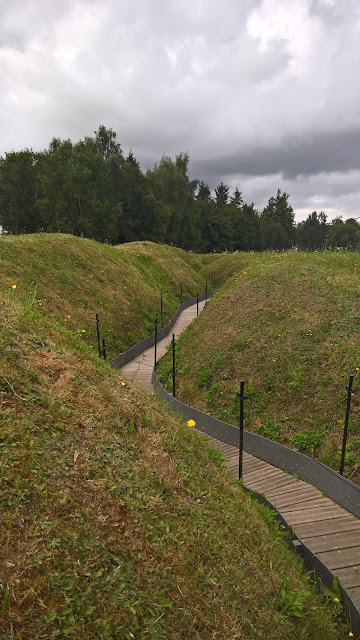 I had about a 1.5 hour ride from Calais to Thiepval which featured a lot of rain, but after this the rain stayed away for the rest of the day. 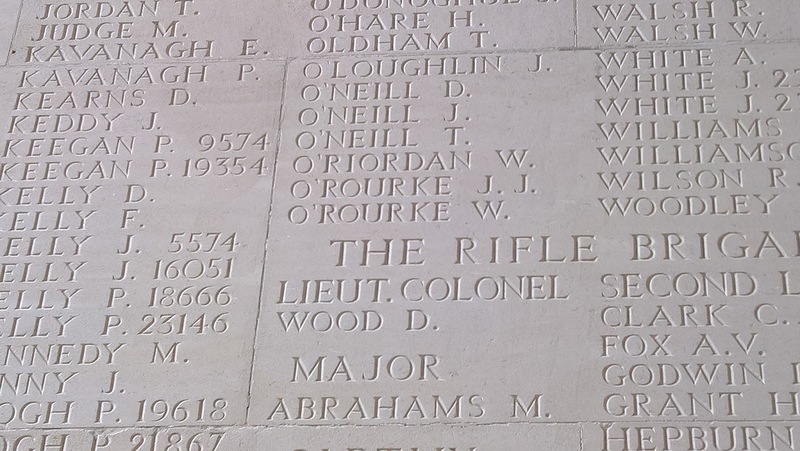 The Thiepval Memorial was my destination and it was easy to see from a long way off. 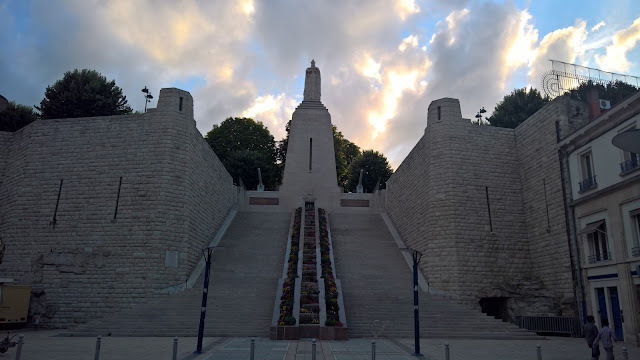 It is a magnificent monument to the dead of WW1 who have no known grave. It is also a monument to a waste of life. 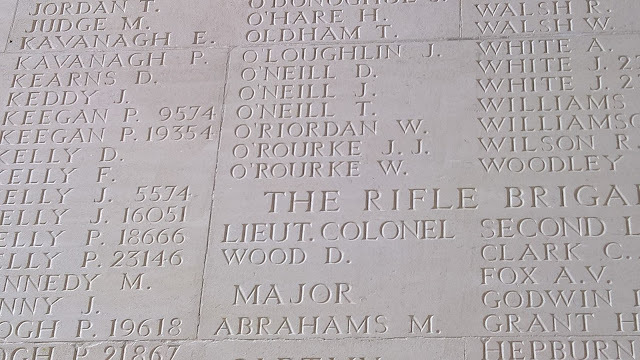 While there I looked up the Irish regiments and spotted an "O'Loughlin, J" listed under the Dublin Fusiliers - I'm sure I am not alone in looking up family names on such a memorial. 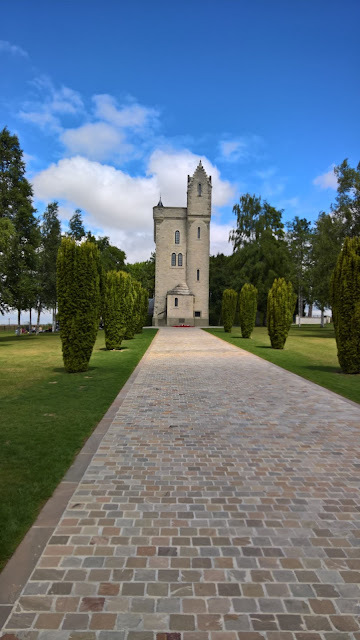 I also visited the Ulster Monument followed by the best part of the day in Beaumont-Hamel. Here I toured around a field dedicated to Canadians from Newfoundland who fought here in 1916 - I was struck by how close the front line with the Germans was. 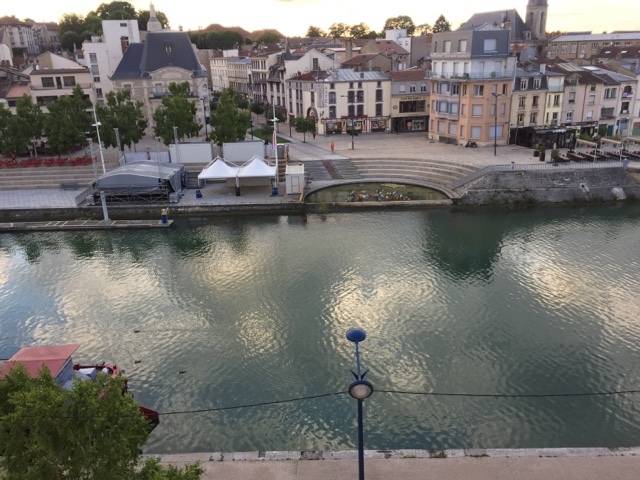 This evening I have ended up in Verdun and I have toured around the city centre of this historic location. 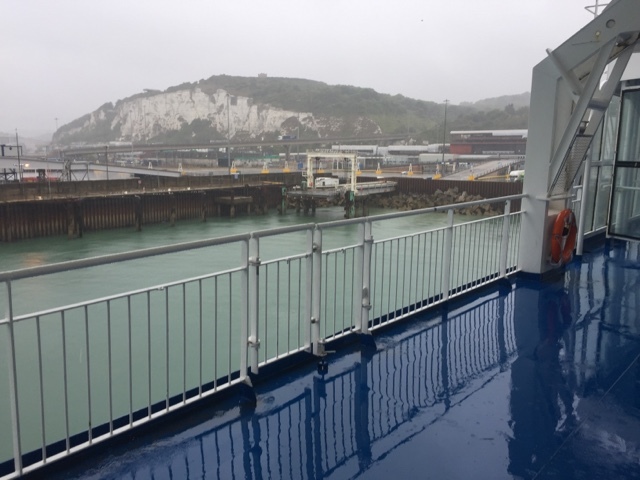 A wet start to the day in Dover.